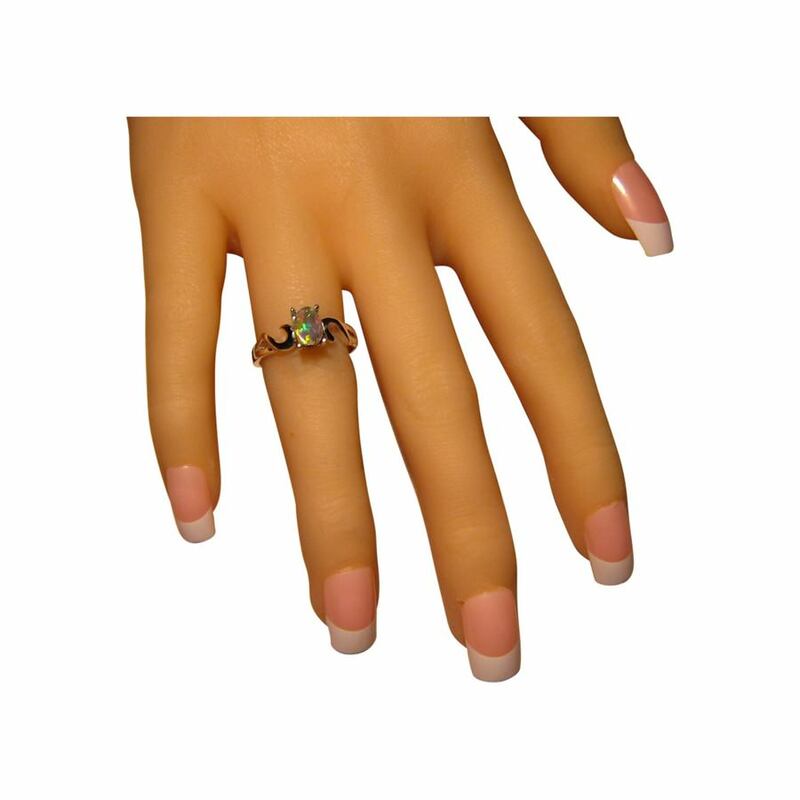 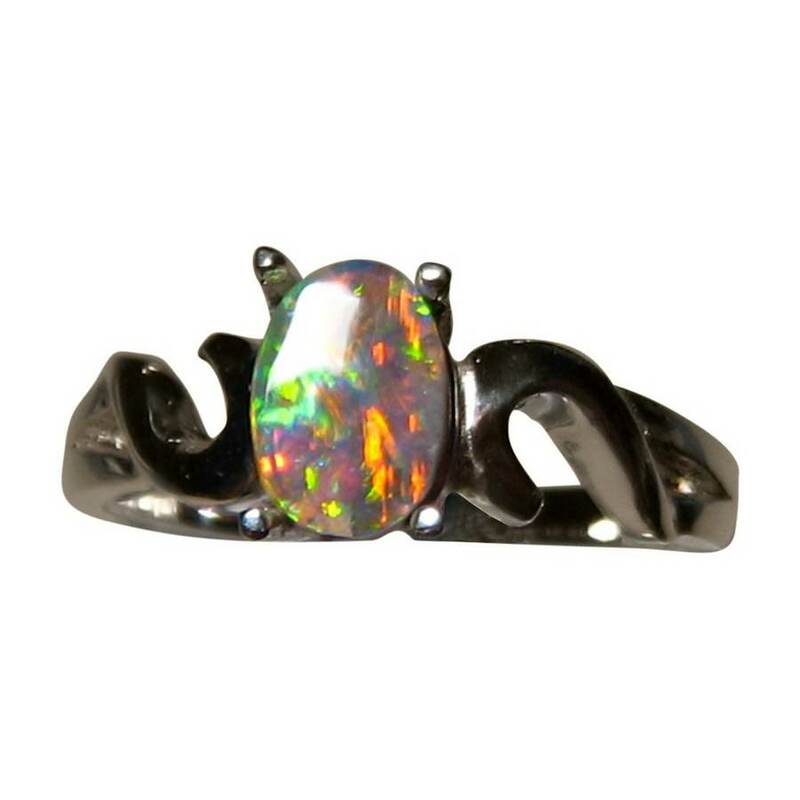 A beautiful Black Opal ring with a lively colorful oval Black Opal set in 925 Silver or 14k Gold. 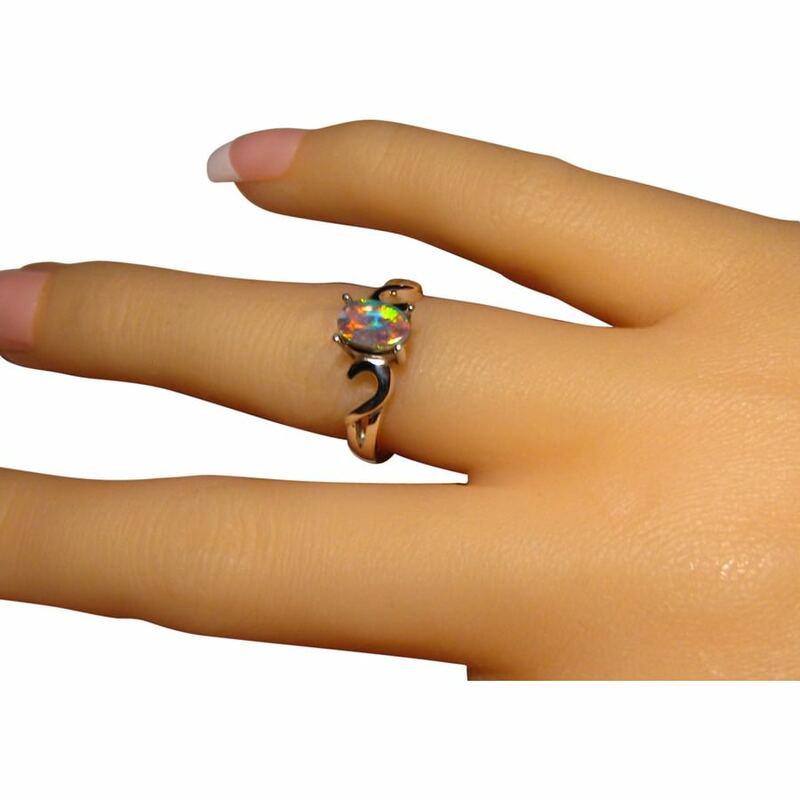 A Black Opal ring in a simple elegant style that can be set in 925 Sterling Silver or 14k Gold. 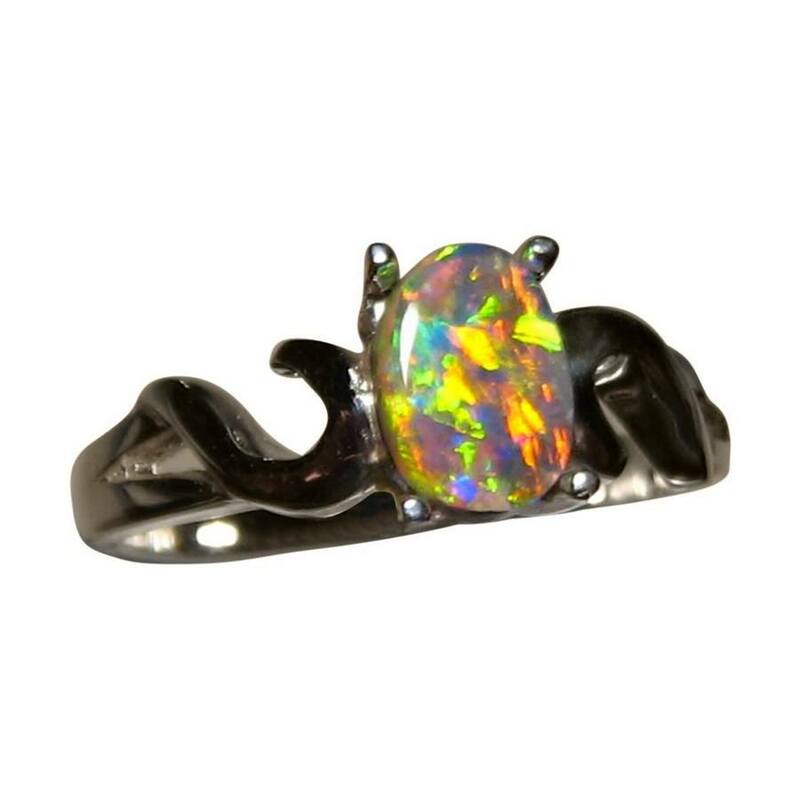 The oval Black Opal is small but very bright and colorful with a stunning pattern that displays better in the video below. 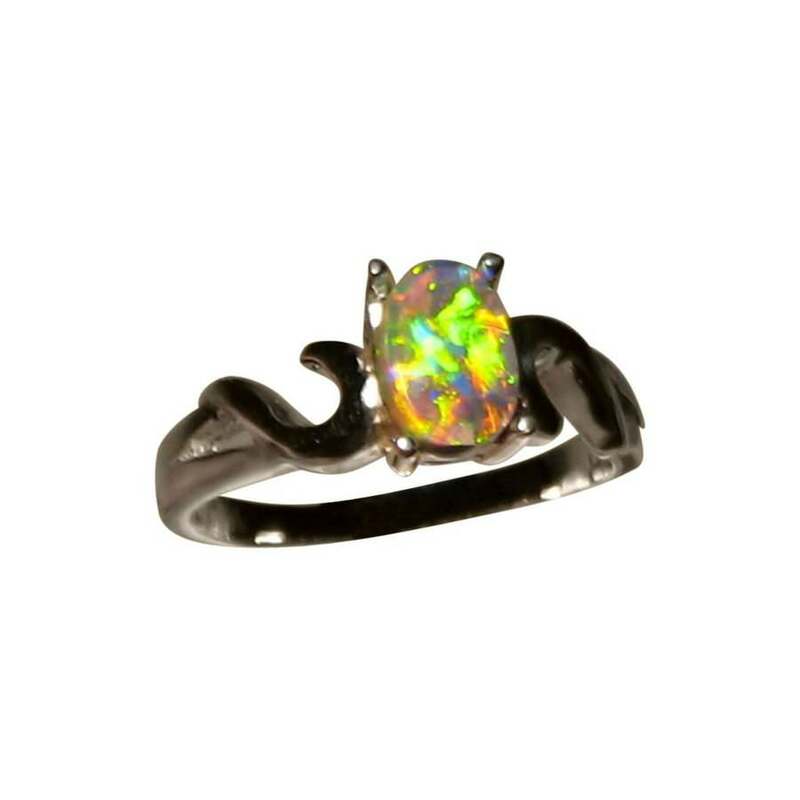 A genuine Black Opal ring that is ready to ship in 925 Silver as detailed below or will take about one week for any changes before this exact Opal is secured.